Today they are among the top 10% of Anheuser-Busch Wholesalers in the United States, with annual sales of over 4.2 million cases servicing over 1,200 accounts. 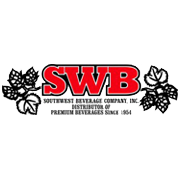 For 32 years, SWB routes have used handheld computers to service their Customers, meeting ever changing requirements while increasing capabilities, efficiencies, and providing excellent return on investment. In 1996, they developed a “Hybrid” selling method allowing Pre-sell and Delivery routes to use the same infrastructure. Continuously improves the opportunity to sell, time conservation and constant development of staff selling capability. Has on-going evaluation and testing, looking for more ways to improve efficiency and the design. Continuously monitors and minimizes the on-the-road time consuming distractions. Is the most efficient selling tool; easy to use, reliable, works consistently, focused on selling and minimizing steps. Incorporates basic selling features and functions while being flexible enough to allow the “core” functions to be mixed and matched as selling methods evolve. Meets their business, government, and supplier requirements. AFS DSD software solutions have provided SWB with greater flexibility, incorporating forward thinking technologies designed to help move them into the future. SWB is confident that AFS Mobile software solutions will continue to address their industry, supplier and retailer challenges.